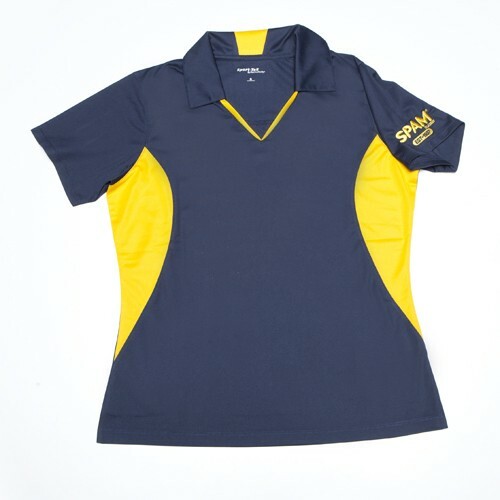 Navy v-neck short sleeve collared shirt with gold contrasts on side panels and neck area. Moisture wicking material with "SPAM® Brand Est. 1937" embroidered in gold on left sleeve. Also available in matching men's style G6388.